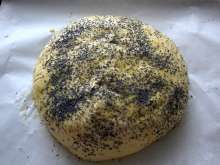 Mazanec with poppy seed filling. 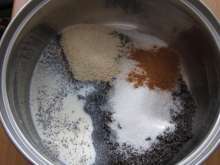 Pour warm milk over the ground poppy seeds, sugar, ground cinnamon and breadcrumbs. Stir the filling and let it cool. 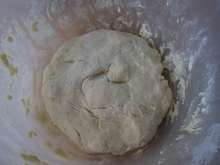 Stir fresh yeast and 1/2 teaspoon of sugar in a cup of warm milk and prepare leaven. 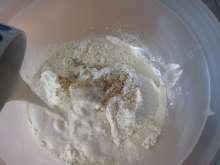 Pour in a bowl flour, sugar, add eggs, cream cheese, milk, a pinch of salt, leaven and lemon zest. 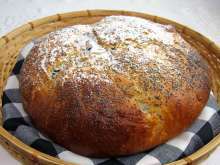 Knead the dough, sprinkle it with flour, shape a loaf and let it rise. 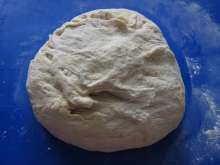 Use your hands to stretch the dough gently on a floured board and form it into a circle with diameter about 30 - 35 cm. 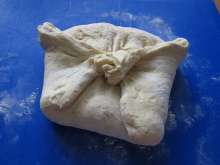 Place filling in the middle and spread it but leave some space dough around (about 5 cm). 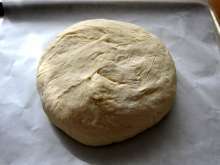 ... and shape a loaf. Transfer the mazanec on a baking tin lined with parchment paper so that the stuck part is at the bottom. 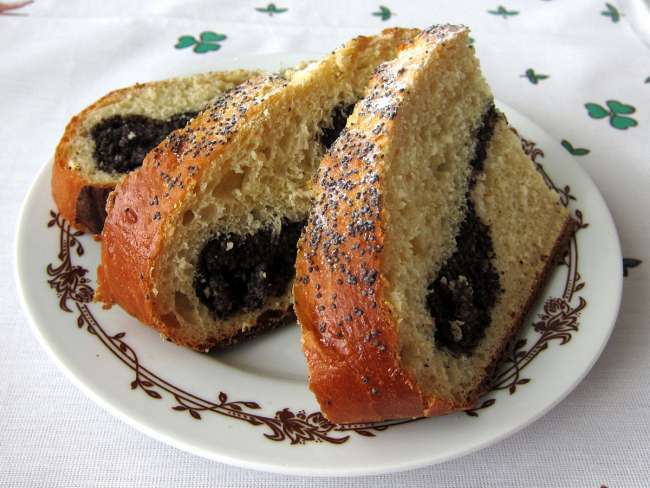 Brush the whole loaf with beaten egg, sprinkle with poppy seeds and slightly score the centre in the shape of a cross. 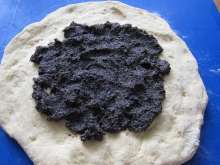 Bake in preheated oven at 160 - 340°F (170°C) 50 minutes. 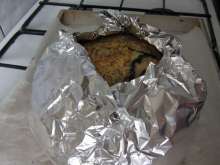 After 30 minutes, if needed, cover mazanec with aluminium foil (if the cake is browning quickly) and covered continue baking. Once finished, sprinkle it with sugar, let it cool and then cut it and serve. Delicious with sour cherry jam.